Newly redecorated and refreshed! 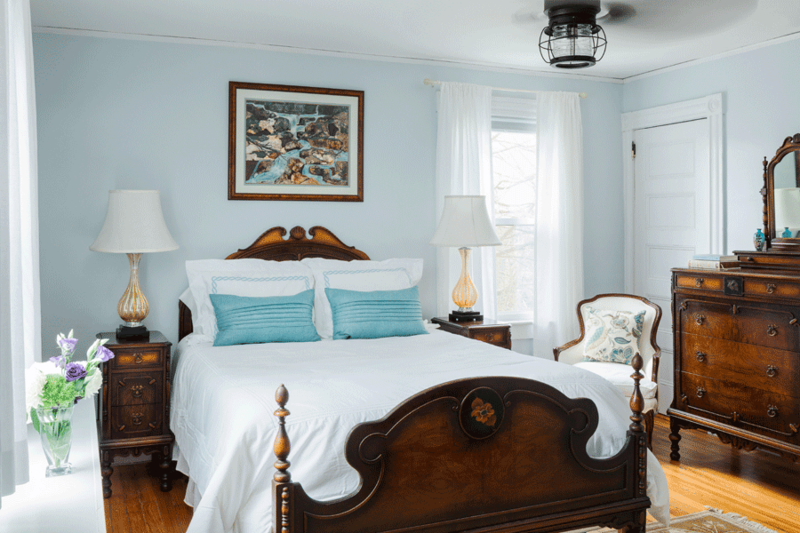 This a cozy, bright room finished in peaceful blue tones. The room features a queen bed and feather stuffed upholstered chair. The en-suite bath has a custom tiled shower.